By Mark Strassmann | CBS News | Laurel, Md. — We are getting our first good look at the most distant object ever explored — a piece of rock spinning way out in space. Fittingly, it took a rock star to help find it. The first clear image of Ultima Thule shows what looks like a celestial snowman, a frozen world 1 billion miles beyond Pluto. It astounded the New Horizons science team, including astrophysicist Brian May. 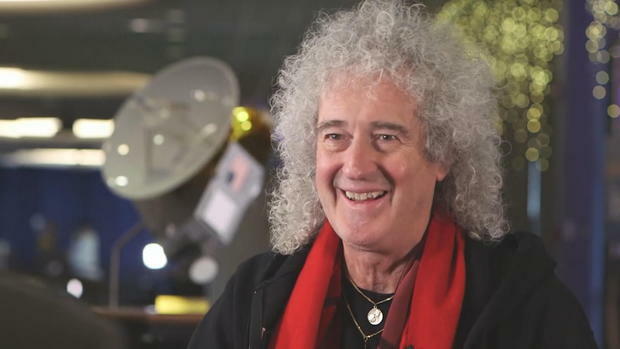 May, a Sir Isaac Newton look-alike, is also co-founder and lead guitarist of Queen, the iconic British rock band. He’s a rocket scientist by day and rock star by night. May wrote an anthem for New Horizon’s flyby of Ultima Thule as a tribute to a glimpse beyond our solar system. “I didn’t imagine that it could happen,” May said. Now it has, and another one bites the dust.